Russian Pointe's Rubin or Ruby glows and captivates with elegance. 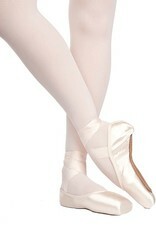 The versatility of this pointe shoe has given Rubin unsurpassed popularity among discerning ballerinas. The low crown, wide platform size and slightly tapered box combine to suit a variety of foot shapes, while the pleatless platform gives a polished finish. 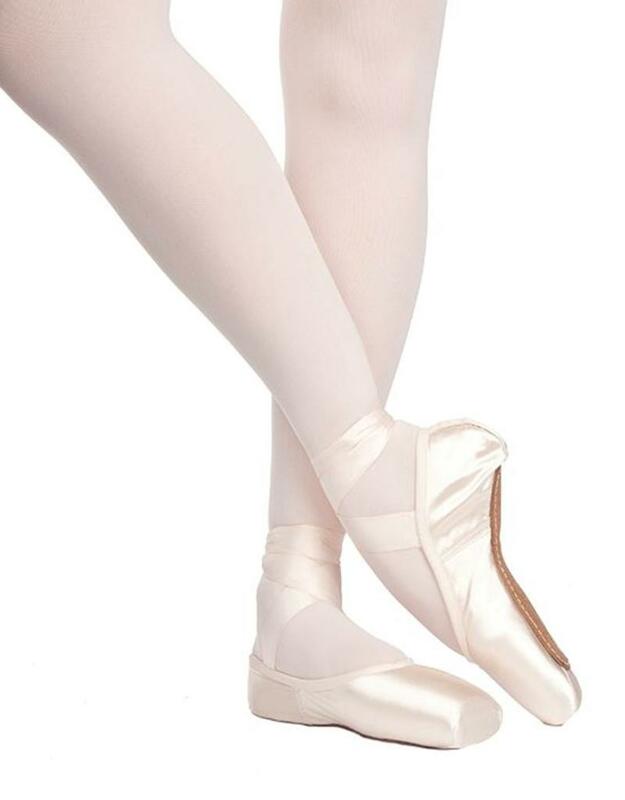 Pliable, long-lasting shanks support with grace, and Russian Pointe’s revolutionary pre-arched construction mimics the shape of the foot on pointe, to highlight the arch while facilitating pointe work and minimizing break in. The drawstring is a great option for dancers who desire more options with the shape and fit of the vamp. Available here in a FM shank (Russian Pointe's most popular shank strength), it is also available in S, FS, M, H & FH. Also available in a V-Cut (no drawstring) option. 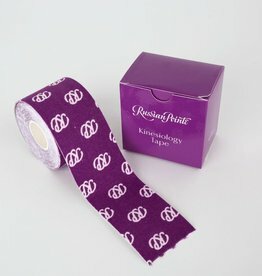 This soft, elasticized ribbon features a very fine weave and gentle stretch, for the look of traditional ribbon, without gapping or slipping. 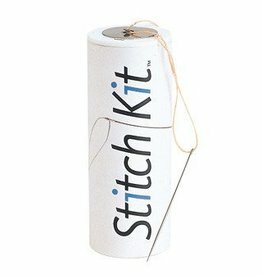 The stitch kit includes 75 yards of super-strong, bonded nylon thread, 2 large-eye needles for easy threading, as well as detailed sewing instructions. 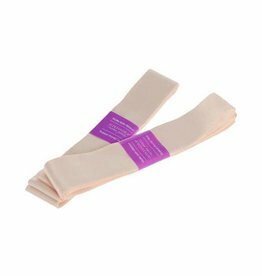 Good for pointe shoes or ballet slippers.